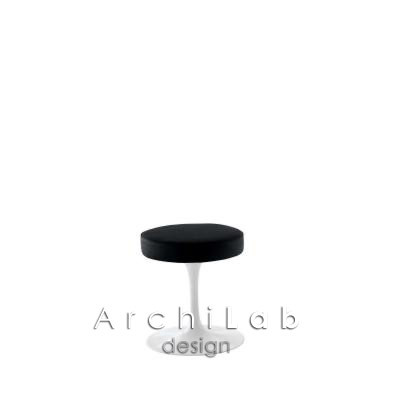 Swivel stool in cast aluminium lacquered white, black or aluminium. Polyurethan foam upholstery. Leather or fabric seat covering.